Paradise Bungalows is a typical Thai holiday park located on the beautiful and peaceful west coast of the island of Koh Chang. You’ll find the latest holiday resorts: The Garden Bungalows, built in authentic Thai style with a double bed, a large ceiling fan or airco and a flatscreen TV. The bathroom is equipped with a hot shower and modern toilet. The bungalows are spread across a Thai garden and offer a terrace, overlooking the sea. We are located at a distance of 300m from the sea! 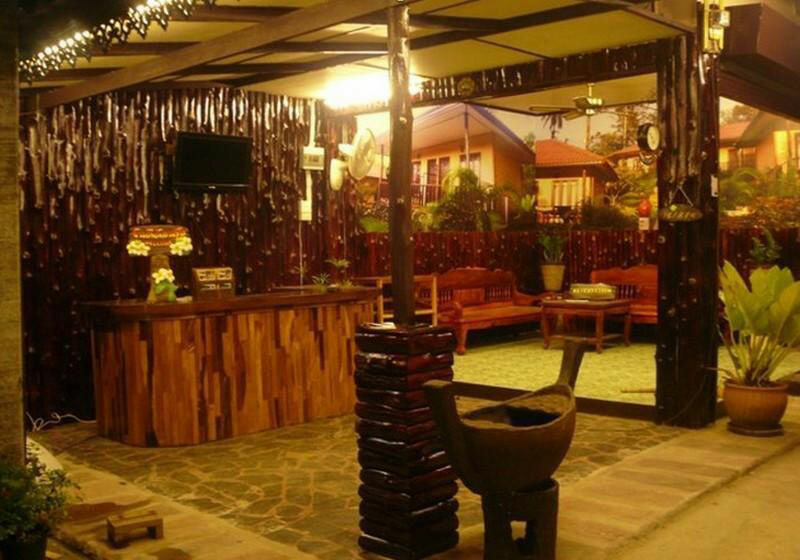 Short Description: Paradise Bungalows is a typical Thai holiday park located on the beautiful and peaceful west coast of the island of Koh Chang. You’ll find the latest holiday resorts: The Garden Bungalows, built in authentic Thai style with a double bed, a large ceiling fan or airco and a flatscreen TV. The bathroom is equipped with a hot shower and modern toilet.